Brand new for 2016 is the redesigned Ultimate Guard Flip'n'Tray 160 case - Available in new colours and with a redesigned format for the existing range. 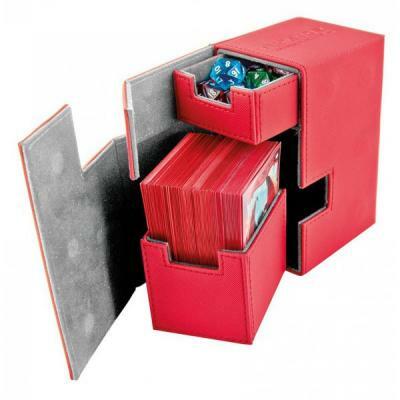 Super high quality XenoSkin card box with magnetic closure and card & dice trays for the protection and archival safe storage of more than 160 double-sleeved cards in standard size (e.g. Magic the Gathering, Pokemon and others).